Niagara Falls is one of the wonders of the world and is definitely something everyone should experience at some point. But there is so much more to see and do in Niagara Region and we’ve compiled an extensive list of things to check out. What makes us experts? As a video production company we’ve taken on many projects in and around Niagara over the past decade (from Redbull Crashed Ice to Nik Wallenda’s daring tightrope walk across the falls). Early in 2018 we (Signature Video Group) became the official production partner of Niagara Region and since then we’ve spend hundreds of hours scouring every nook and cranny of the region. We’ve been in the middle of the crowd, off the beaten path and got to experience a lot of what makes Niagara an incredible place to be. Whether you’re visiting tourist from abroad or just looking to explore your own back yard, here is our top 81 things to do in and around Niagara Falls. Get lost hiking to one of two waterfalls, or bring your binoculars to birdwatch during the annual spring hawk migration. 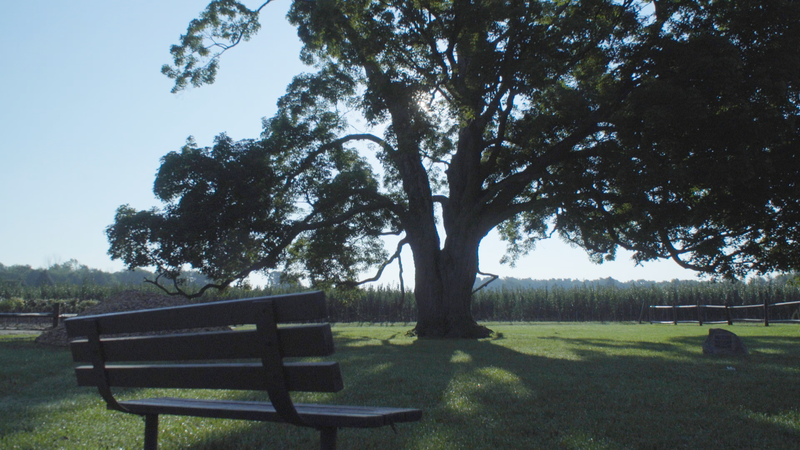 If you’ve seen Terrance Malick’s Tree of Life, the Comfort Maple might look familiar. While it isn’t actually the tree featured in the film, it bears a stunning resemblance, especially when morning light peaks through its thick foliage. At an estimated 500+ years old, the Comfort Maple is Canada’s oldest sugar maple tree. While touching this ancient tree is strictly prohibited, it makes for an amazing photo op, especially at magic hour. While it’s hard to miss the Horseshoe Falls, there are dozens of lesser-known waterfalls in the region that make for scenic photos and tranquil hikes. One of our favourites is Balls Falls in Lincoln, Ontario. The Twenty Mile Creek plummets from two peaks, the upper and lower falls. With hours of hiking trails to explore, you can easily spend a day reviling in its scenic beauty. As do most parks in the region, the trails at Balls Falls connect to the Bruce Trail which spans nearly 900km from Niagara to Tobermory, Ontario. The Park also offers a rustic church that hosts many a midsummer wedding and event. The venue can accommodate up to 110 people. Nestled on the shores of Lake Erie, Crystal Beach is a hidden gem. Fort Erie’s beloved strip of beach boasts soft white sand, plenty of picnicking spots, plus a commercial strip with great restaurant options. Parking spaces tend to fill up early on hot days, so we recommend starting your beach day early. This 10-acre area is made up of a series of small islands connected by bridge and footpaths. Stroll through its winding paths as you take in the chirping birds. A recent naturalization program included the introduction of several species of fish to the streams and ponds of the area, as well as the installation of bird feeders and bird boxes to promote wildlife. During the holiday months, Dufferin Islands is home to the Winter Festival of Lights, featuring several animated lighting displays. Dip down into the centre of the Niagara Gorge and explore the Glen’s 4km of winding paths that lead you through thick forest, prehistoric geological formations and encounters with wildlife. 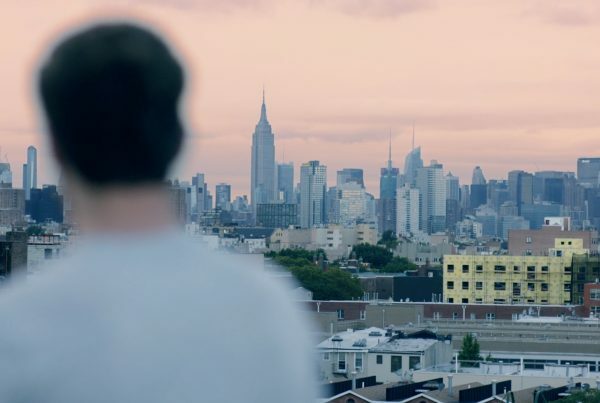 As filmmakers, we live for the time of day known as “magic hour”. It’s the brief window just before sunset when the light is just right, low in the sky and glowing warmly. There is no better way to end off an evening in St.Catharines than by driving down to the docks at Port Dalhousie during magic hour and sitting through a beautiful sunset. If you get far enough away from the famous lighthouse, you can capture it in the foreground with blushing Western skies and glimmering water in the background. It would be an understatement to say it is a sight for sore eyes. 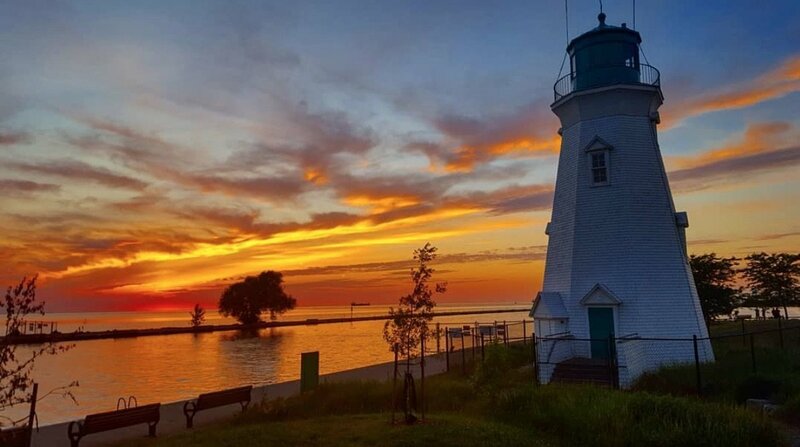 Whether you’re looking for a romantic date spot or to capture that perfect vacation snapshot, Port Dalhousie can’t be missed. Yet another stop along the Bruce Trail, Decew Falls can’t be missed. This 22 metre waterfall is tucked behind the Morningstar Mill, an historic Niagara building. Built in 1872, the mill was powered by the Beaverdams Creek until 1933. Today, it has been restored as a museum. A short (but steep) hike from the mill takes you to the bottom of the waterfall. Here, you can walk behind the waterfall and feel its cool spray. The Niagara Botanical Gardens are the perfect place to get lost in your thoughts and take in some greenery. With nearly 100 acres to stroll through, it’s easy to let time fly by here. Open since 1936, the garden boasts an endless variety of perennials, rhododendrons, azaleas, herb and vegetable plantings. The highlight of this outing is the rose garden with over 2,400 roses blooming annually. The Floral Clock is one of many scenic stops along the Niagara Parkway. Visitors can take in the vibrant colours of up to 16,000 flowers and plants that make up this functioning clock. Every quarter hour, a set of Westminster chimes behind the clock can be heard. What’s more, the beds are changed twice a year, so no two visits are necessarily the same. As this list suggests, Niagara is full of beautiful gardens and parks. What sets the Centennial Lilac Garden apart is its lush, intoxicating aroma. Each year, over 1,200 plants give off an incredibly fragrant perfume, as well as gorgeous shades of cream, pinks and purples. Timing is everything when it comes to lilacs They typically blossom during a short period from May to early June. Long beach Conservation Area is a great place to spend the day, weekend or a whole week. With over 225 campsites to choose from, there’s plenty of space to set up camp and go exploring. Activities include water sports, fishing, plenty of hiking trails and of course barbeques. Lake Erie’s warm waters make Long Beach a great place to take the kids swimming or catch a few rays of sun with a good book. If you’re playing to stay the night, we recommend booking well in advance, especially on long weekends in the summer. The Bruce Trail is the main artery in an expansive hiking trail network that spans most of Ontario. 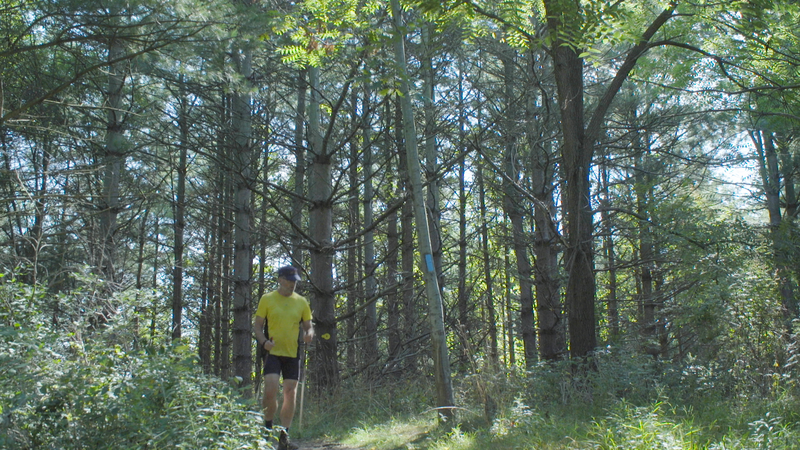 The trail runs from Niagara Falls all the way to Tobermory, Ontario. There are dozens of access points scattered throughout Niagara’s many parks and conservation areas. Before you head out, it’s a good idea to plan your route. While there are plenty of easy trails, there are also a number of steep, rocky portions not suited for beginner hikers or young children. Like many others, this conservation area offers panoramic views of the Niagara Escarpment and Lake Ontario. This famous ice cave was once used for refrigeration, but has since been blocked after dynamite was used in an attempt to expand it. This site is home to an underground lake, mysterious rock carvings and a wartime hideout. Get up close and personal with the sheer force of Niagara’s Class 6 white water rapids on the White Water Walk. This leisurely walkway connects a series of viewing platforms that offer a unique view of the roaring Niagara River. The calming sounds of rushing water and slight mist in the air make this a surprisingly calm and peaceful stroll. The self-guided tour offers information about the geology and ecosystem of the Niagara Gorge. If you’re in the market for farm to table dining experiences, Ravine Vineyard is an absolute must. This rustic farm, restaurant & vineyard has been in operation for over 150 years. No two visits to Ravine are the same, because Chef Ross Midgley carefully crafts the ever-changing seasonal menu based on ingredients on their farm and in the community. Before you sit down for a meal, we recommend taking part in a wine tour and tasting through Ravine’s impressive vineyard. In the summer months, guests can enjoy a crisp glass of riesling on their substantial patio while taking in panoramic views of the vineyard. Chef Ross Midgley walked us through his signature dish with us when we visited this summer. Want to indulge but get some exercise while doing it? Niagara has just the thing. A number of tour companies and wineries partner each summer to offer bike tours. Tours vary, but most run between 4 and 5 hours and include visits to multiple wineries, lunch plus bike and helmet rentals. Most companies offer a shuttle service to and from the bike rental, and will pick up and return any wine purchases you made throughout the day, so you can stock up without having to lug your goods around with you all day. Nothing says summer quite like sitting on a picnic bench, perhaps with sand still between your toes, at the side of the road and enjoying some piping hot fries. Small-town Ontario is full of these roadside chip trucks, and the Niagara Region is no exception. These family-run mobile snack bars offer more than just fries. You’ll usually find soft-serve, slushies, and tasty fried treats too. You’ll find these chip trucks lining many major streets in Niagara, especially during beach season. Welcome to wine country. It probably isn’t a surprise, but Niagara is chalk full of wineries. While Niagara-on-the-Lake has developed a reputation for wine tourism, the entire region participates in the wine culture. Many tour companies offer full-day excursions including transportation, lunch and stops at anywhere from 2 to 5 wineries. These tours are great year round, but grapes tend to be at their plumpest in early September, which makes for better photos. Niagara is chock full of great food, so the bar is set very high when it comes to naming the “Best of”. The Lakehouse Restaurant has proved itself with their burger alone. Located just off the highway, the Lake House is nestled on the shores of Lake Ontario and features a sprawling patio as well as plenty of elegantly furnished dining space indoors. But let’s talk about the burger. Check any random selection of reviews on this place, and the burger will be mentioned in more than half of them. It’s just that good. They use high quality beef that is never overcooked, providing a juicy, full flavour burger. The award winning Great Canadian burger is topped with bacon jam, peameal bacon, caramelized onions, maple chipotle aioli and aged Canadian cheddar. Talk about decadent. Yet another centuries-old tradition in Niagara-on-the-lake, High Tea at this Victorian hotel will make you feel like royalty. Opened in 1864, the hotel, restaurant and tea room has been a staple of the historic Niagara-on-the-lake downtown strip. From noon to 6pm everyday, you can enjoy an excellent selection of teas alongside bite-sized sandwiches, cakes, and other treats. The luxurious environment is the perfect place to celebrate a birthday, anniversary or simply a great trip. And don’t be fooled — tea sandwiches and cakes add up, this is more than just an afternoon snack. Originally crafted in Germany, icewines have become a quintessentially Canadian treat. These sweet and complex wines are crafted in two regions in Canadian. British Columbia’s Okanagan Valley and the Niagara Region. 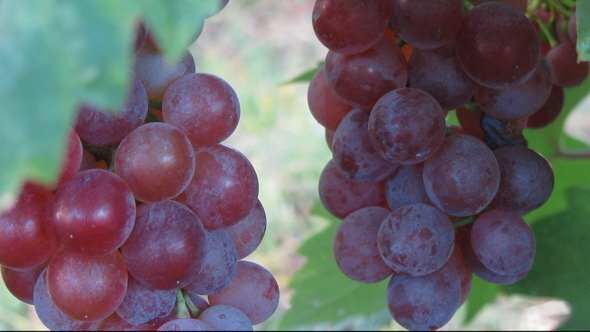 The grapes used in these wines are left on the vine well into the sub-zero winter months. The freezing of the water content of the fruits creates a more concentrated and intense flavour, resulting in slightly syrupy, sweet wine. Inniskillin wineries invites visitors into their vineyard and walks them through this interesting process. Harvest typically happens between early December and early March, making this a great winter activity. In a region known for its great wine, other libations tend to be forgotten by visitors, but they shouldn’t be. The region is beginning to make a name for itself in the craft beer industry, too. One such place is the Oast House brewery in Niagara-on-the-lake. From classic Belgian Wits to pumpkin and squash spiced ales, the variety at Oast keeps fans coming back again and again. Guests can either pop into the Beer Shed and pick up a selection to go, or stay for a cold pint and a snack in The Barn, originally raised in the 1800s. From local wine to burgers to pasta, the Pelham Supper Market really has it all. 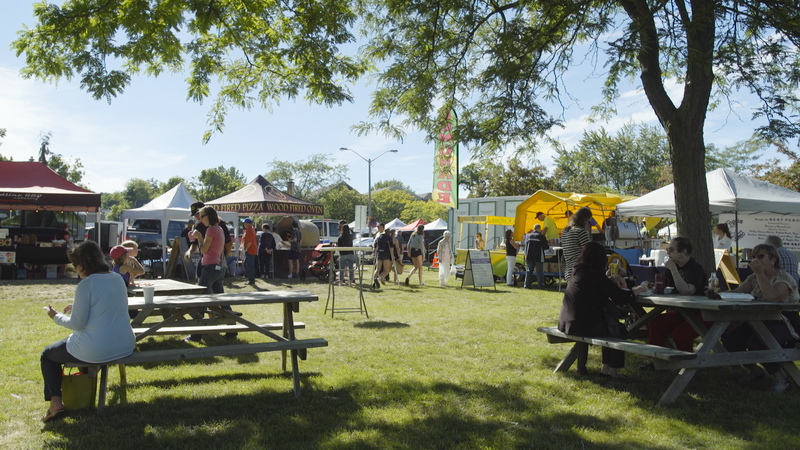 50% farmers’ market, 50% food truck festival, the weekly neighbourhood get together is 100% pleasing to the taste buds. Thousands of people flock to Pelham’s Town Square to listen to live music, shop for fresh produce and locally made products, and try out local food vendors. If you’re planning to watch the live music, we recommend bringing a chair to claim your spot early. The good spots are usually taken up hours before the event even begins. Whether you’re an ice wine connoisseur or a newbie, this festival has something for you. Every January, Niagara celebrates this famous cold-climate specialty. Sample icewines from vineyards across the region and enjoy some amazing local food pairings. This is a certified one-of-a-kind Niagara experience. Since opening its doors in 2004, Fallsview Casino Resort has been a mainstay of Niagara Falls’ downtown strip. Equipped with numerous restaurants, shops, a hotel & spa and gaming floor, Fallsview knows how to draw a crowd. The 20,000 square foot gaming floor has a game for everyone. Players can get lucky at over 3,000 slot machines or 130 table games. From 1 cent slot machines to five-figure bets in the Salon Prive, every kind of player can try their hand at a jackpot. Take a step back in time at this historic race track. Over 120 years old, the Fort Erie Racetrack has long been home to Canadian horse racing champions, including Northern Dancer, the “King of Canadian Racing”. The track has slowed down a bit since its glory days, and is now open just two days a week, Tuesdays and Sundays, from May to October. For some, there is no greater thrill than getting some fresh ink. If this is you, Hart & Harrington is the place to go. 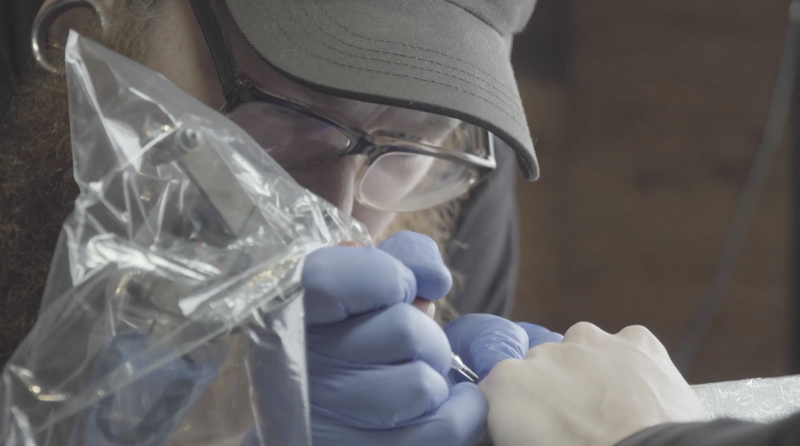 The Niagara Falls tattoo shop is one of four Hart & Huntington locations opened by world-renowned motocross racer Carey Hart. The shop blends moto-culture with top-notch artistry to give clients both an experience and a product that is pleasant all the way through. While the shop accepts walk-ins, they can get pretty busy so we recommend calling ahead. If you do find your stuff stopping in on a whim, you can bide your time checking out their cool original apparel and accessories. 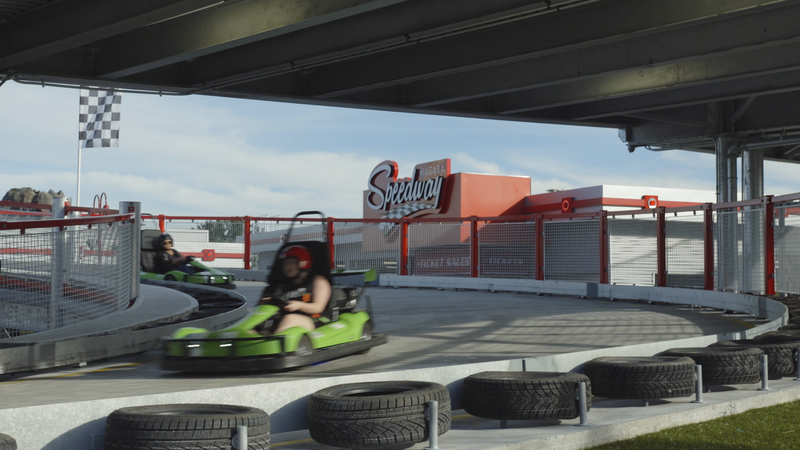 Standing at 42 feet tall, this new addition to Niagara Falls’ famous Clifton Hill is the first ever elevated go kart race course in Canada. The track clocks in at 2,000 feet of racing surface over its four-story helical spiral. We also love that it stay open until 11pm, so you can speed through the course in the dark (with your headlights on, of course). Drivers must be 18+ if they are carrying a passenger, and kids riding shotgun need to be at least 58 inches tall. Halloween may have come and gone, but that’s no reason to put away the ghosts and ghouls. The Nightmares Fear Factory pumps out horrifying experiences all year round. Their website boasts a counter of all of the people who’ve “chickened out”, and the number is in six-figures. The site of the old cataract coffin factory, legend has it that the property is haunted by the old coffin maker’s ghost. One of two casinos in downtown Niagara Falls, Casino Niagara always brings excitement. It has all the slots and table games of its neighbour Fallsview Casino, but also offers an extensive poker room. Players of all levels are welcome to play. While you’re there, be sure to grab a bite at their restaurant Lev2l. Soar above the Falls on this daredevilish attraction. From 220 feet in the air, the view of the Falls is pretty darn spectacular. This ride is no joke, propelling you across the Niagara Gorge at 70+ kilometres per hour. For an extra special experience, consider going at night. Great Wolf Lodge is Ontario’s premium indoor waterpark resort. For the perfect blend of amenities and adventure, spend a few nights at this kid-friendly spot. The waterpark offers over a dozen water-based activities including waterslides, wave pools and lazy rivers. The hotel offers spacious suites including fun themed suites for an added touch. If you’re feeling like a break from the excitement, head over to the spa or check out one of their great dining options. If you’re looking for some culture, go no further than the region’s historical Niagara-On-The-Lake. 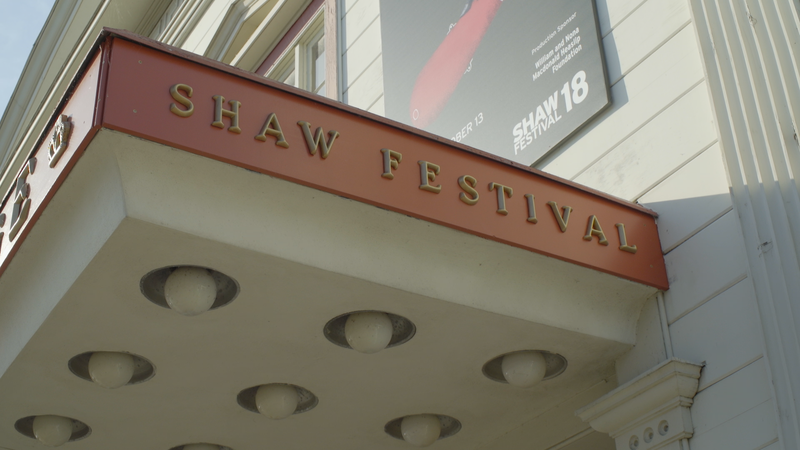 This picturesque town in the heart of wine country is home to the world renowned Shaw Festival. The theatre company, inspired by George Bernard Shaw, opened its doors in 1962 and continues to produce a dozen or more plays every year at its three stages. For an added element of charm, visit the Royal George Theatre to take in gorgeously restored interiors from 1915. If you’re looking Vegas-style entertainment, look no further than the Greg Frewin Show. Regarded as the International Grand Champion of Magic, Greg Frewin serves up the ultimate magic experience. This family friendly excursion features live animals, complex illusions and daring feats. The Greg Frewin theatre is also equipped with a lunch and dinner buffet as well as a selection of customized Greg Frewin VQA wines. 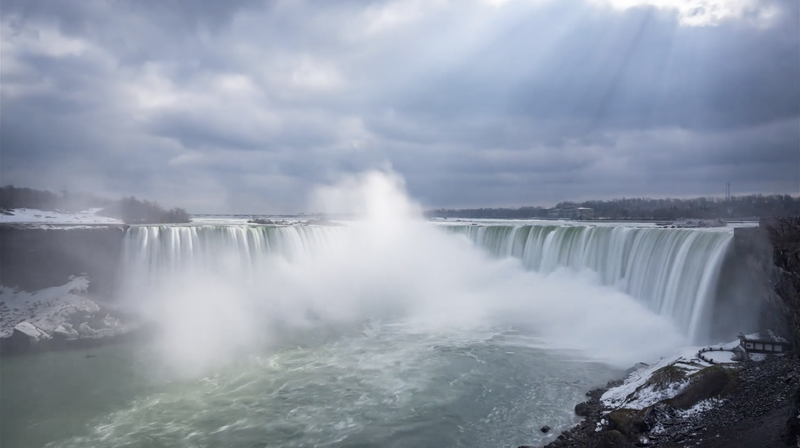 Dig deeper into the World Wonder Niagara Falls at the IMAX Theatre. Their featured presentation is Niagara: Miracles, Myths & Magic which explores the origins and human history of the Falls. There’s no better way to get educated than in front of a 60 foot tall cinema screen with 12,000 watts of digital surround sound. The Coca Cola Concert Series is yet another fixture of the bustling Clifton Hill summer program. Every Thursday through Sunday from June to September, visitors and locals gather to enjoy free concerts followed by fireworks over the Falls. The concert series features local bands from around the region performing everything from original folk music to Beatles covers. When the weather is nice, people come early to set up picnics on the lawn and stake out their places for the concerts, so keep that in mind while planning your trip. This Niagara nightlife staple guarantees a good time, especially if you like to dance. Bust a few moves on their spacious dancefloor that is equipped with an LED video ceiling. When you need a break from the dancefloor, head over to one of their lounge spaces or partake in the “red chamber”, their premium bottle service lounge. The right ambience is key to a good night out, and the Dragonfly’s Asian -inspired decor delivers just that. 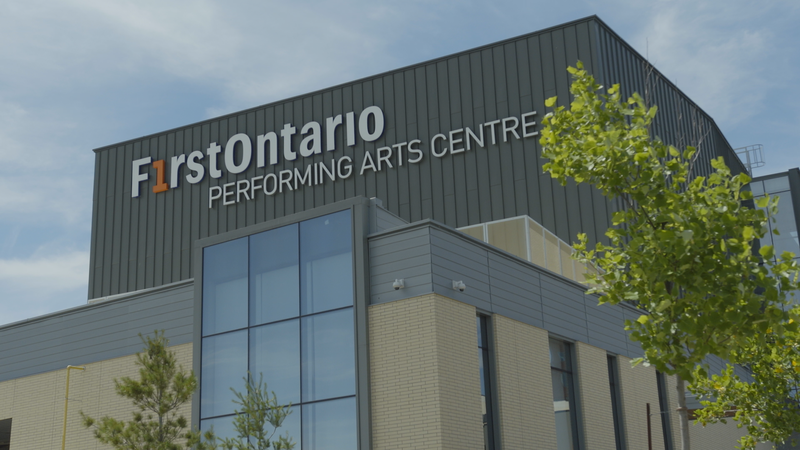 No matter what gets you going, chances are you’ll be able to find it at some point at St. Catharines’ FirstOntario Performing Arts Centre. Opened in 2015, the massive cultural complex houses a 775-seat concert hall, a 300-seat recital hall, a 210-seat dance/theatre venue, and a 187-seat film house. Events range from comedy acts like Jerry Seinfeld to Cirque Le Roux to local and international plays and dance troupes. It is also home to the Niagara Symphony Orchestra and the Niagara Ballet. If you’re looking to kick back and relax for a few hours one evening, the Canview drive-in is the place to be. Every summer evening starting at dusk, this old-school drive in plays both new releases and old classics. Regulars praise the snack bar and its great poutine. For the binge watcher, Canview offers a “dusk-’til-dawn” screening of four feature length films back-to-back. Be sure to arrive in well ahead of the screening start time to ensure a good spot. Every June, the Scotiabank Convention Centre draws massive crowds to the annual Niagara Falls Comic Con. Presented by Brock University, this costume roleplay festival invites guests to dress up as their favourite characters from TV, movies, comics and video games to take part in a three day conference that celebrates the creative genius behind our favourite characters. The next one is slated for June 7-9 2019 and already features an exciting lineup of celebrity guests. Each Thursday afternoon from Spring to Fall, Grimsby’s Main Street comes to life for its weekly farmers market. Here, you’ll find all that Niagara’s greenbelt has to offer. From fresh peaches to artisan cheese, there’s something to satisfy every craving. After your shopping is complete, settle in at a patio table and listen to live sets by local musicians. 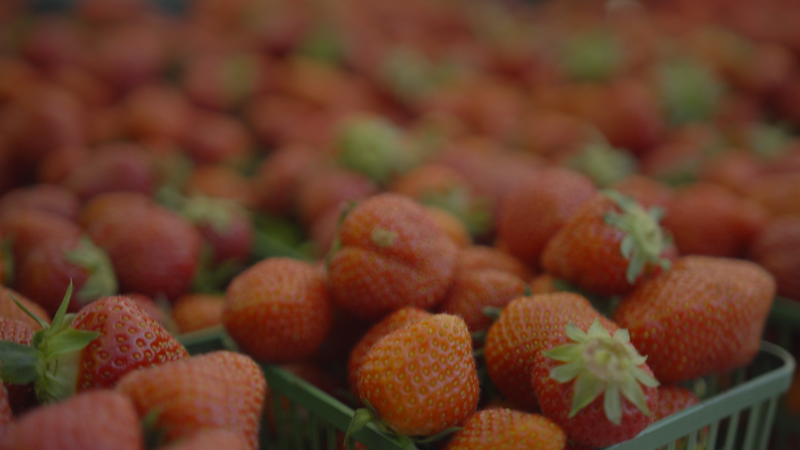 The Grimsby Farmers Market is open from 3pm to 7pm every Thursday from the end of May to Thanksgiving. Niagara-on-the-Lake offers many experiences that let you step back in time to another era. Perusing the many antique shops is one such experience. Scattered off highways and side streets, these hidden gem shops offer up rare Canadiana finds including china, jewelry and heritage furniture. Niagara is known for its amazing abundance of fresh produce. While the fresh thing is great when it’s in season, locally made preserves offer sweet tooth satisfaction all year round. 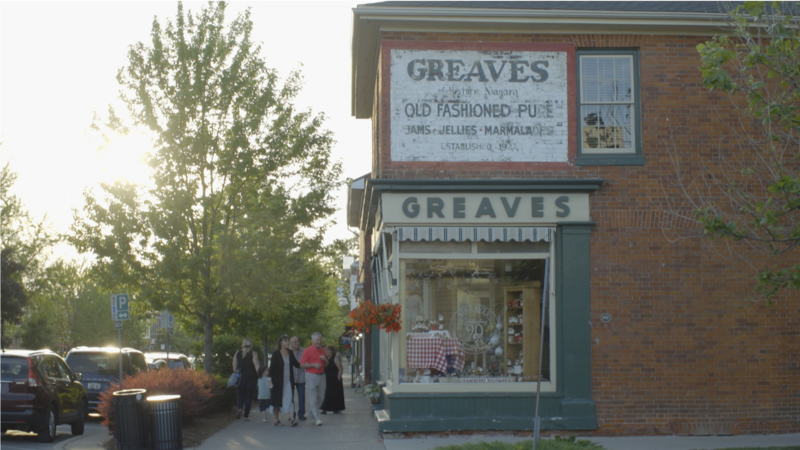 Located in Niagara-on-the-Lake’s historic district, family-owned Greaves Jams & Marmalade offers up carefully crafted jams, jellies, chutneys and spreads. Fair warning: once you try their strawberry rhubarb jam, you might get hooked. Luckily, they accept online orders so you can stock up even if you aren’t back in the Region. Located on Lundy’s Lane in Niagara Falls, the Canada One Brand Outlets are the ultimate shopping destination in Niagara. You’ll find brand-name outlet stores will prices that will make you smile. Top brands include Coach, Tommy Hilfiger, Guess, Roots, and many more. Need some souvenirs for friends and family back home? Look no further than the Canadian Trading Company. This massive shop has canuck goods ranging from maple-flavoured everything to hand crafted jewelry to artisan toys. Located at the top of Clifton Hill, this shop is the perfect way to cap off a great day in Niagara Falls. By appointment, renowned Canadian artist Angie Strauss opens up her home studio and art gallery to fans to visit and meet with the artist herself. You’ll find a beautiful selection of art available for purchase. Visitors often praise Angie for her warm and inviting demeanour. After a long day or sight seeing, there’s nothing quite like unwinding with a glass of wine on a sunny patio.The Niagara College Teaching Winery offers just that, and gives you a little extra know-how about the wine making process. The tours take guests through the facilities and educate them about the history of winemaking in the Region. Being the only teaching winery in Canada, you’ll be meeting the future generation of Canadian winemakers. This War of 1812 Historic Site will transport you back to the frontlines of one of Canada’s most important battlefronts. British, American and First Nations soldiers conduct tours of the grounds, offering cannon and musket demonstrations. The welcome centre displays a number of artifacts from the era and gives visitors an inside look into Niagara’s pivotal role in the War. 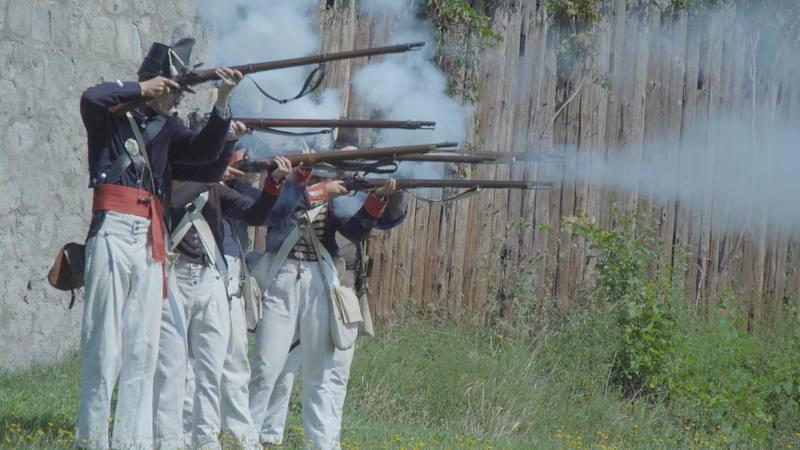 For an extra exciting experience, visit in August to witness the famous Siege of Fort Erie Reenactment. 500 years in the making, the Mackenzie Printery is the restored home of publisher and Toronto’s First Mayor, William Lyon Mackenzie. Featuring 8 printing presses, one of which is the oldest in Canada, this hands-on exhibit takes visitors through the history of printing in Canada. It also features a working linotype machine. During your visit, you can choose a guided tour for some added knowledge, or go it alone. This attraction offers visitors a glimpse into the life of Canadian War of 1812 hero Laura Secord. The beautifully restored home features original period furniture and Laura Secord artifacts. Guided tours are provided by costumed experts who walk guests through the story of Laura Secord and the significance of the house. Gifts made by the Laura Secord Candy Company are available for purchase in their small gift shop. For those who appreciate beautiful buildings, this Niagara District Court House is top of the list. This neoclassical design was originally built in 1817. 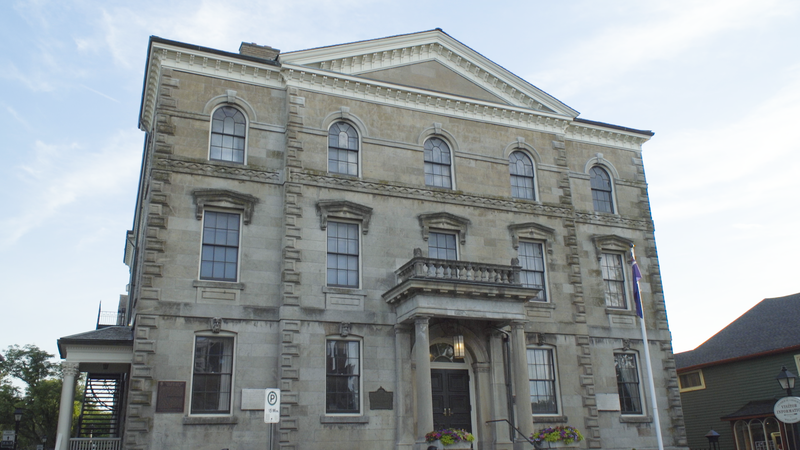 By 1841, managerial functions of the court house were taken over by district councils and eventually judicial power was moved to a new, larger building in St.Catharines. The courthouse was briefly used as a town hall and now houses the Shaw Theatre. in 1978, the courthouse was designated under the Ontario Heritage Act. Every August, Port Colborne hosts the annual Canal Days Marine Heritage Festival along its spectacular waterfront and on the Welland Canal. Gaze up at massive tall ships and other vessels at a number of locations in Port Colborne, or take part in endless family activities including a kite festival, car show, craft show, sawhorse racing and live jazz music. As with any festival, there’s plenty of great food and drink to enjoy as well. Don’t be fooled– this restoration museum no longer doles out pharmaceuticals, but it does offer up visitors a slice of Niagara history. Opened in 1869, the former pharmacy now operates as a museum featuring pharmaceutical artifacts from the 1800s. Clifton Hill has plenty of oddities to choose from, many of which you’ll find on this list. But perhaps the most captivating and unsettling of them are the celebrity wax museums. There are two major purveyors of such oddities on the strip: Movieland Wax Museum and Louis Tussaud’s. Both offer recreations of the most beloved musicians, actors, politicians and socialites of our time. With their impenetrable stares and rigid postures, they’re sure to catch your attention. You can even create a wax replica of your own hand as a one-of-a-kind souvenir. There’s something about the simplicity of a carousel ride that appeals to all ages. St.Catharines’ Lakeside Park Carousel has been offering that simple kind of joy for over a century. It was originally built in Brooklyn, New York, the carousel was relocation to St.Catharines in 1921 where it has been ever since. For 5 cents a ride, families can have their choice of 68 animals, including horses, lions, camels, goats and giraffes, plus four chariots. The ride is open all summer from 11am to 8pm, but closes down in the winter. The world’s largest free-flying indoor aviary, Bird Kingdom is not something to miss. It is home to hundreds of species of birds spread out across three major climates. Its multi-level rainforest is home to a variety of tropical birds and parrots, while the Night Jungle puts you face-to-face with owls, bats and other curious creatures. Be prepared for an earful at this destination. The residents — particularly the parrots — are very vocal. A favourite among small children, the Butterfly Conservatory is a quintessential Niagara Falls experience. This multi-room conservatory is home to over 2,000 butterflies of 45 species. A particularly cool stop on the self-guided tour is the emergence window, where newly transformed butterflies leave their pupae and prepare to take their first flight. Starting in early November each year, the Winter Festival of LIghts is the longest lights festival in the world. Each year, over 2 million people stroll through Niagara Parks to take in the millions of sparkling lights illuminating the night every day for over two months. Lighting displays range from Canadian and American flags to wildlife replicas and includes over 50 trees. What’s more, admission is free! With over 300 games to choose from, it’s hard to pull people away from the Great Canadian Midway. the 70,000 square foot entertainment complex is the ultimate sensory stimulant. It features old classics like Skee Ball as well as newer interactive games like the Wild West Coaster Motion Simulator. Be sure to hold onto your prize tickets to cash in for treats at the end of your visit. 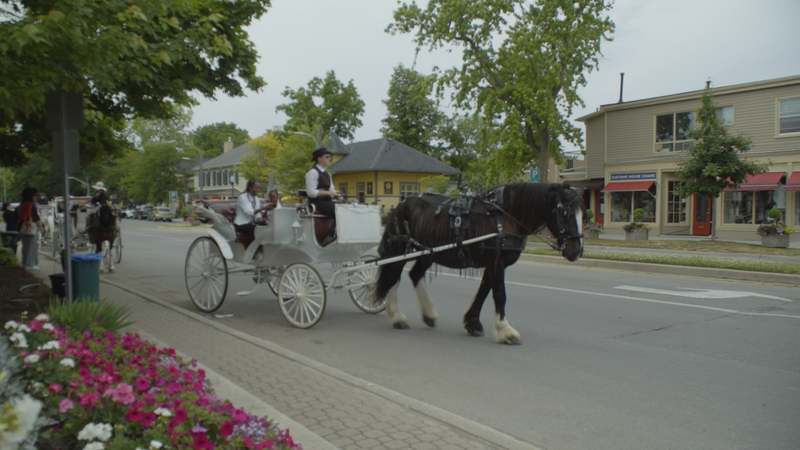 Horse-drawn carriage rides are a popular tourist activity in cities all across Canada, and NOTL is no different. The town’s historic King St is the perfect backdrop for a gentle carriage ride. Whether with the family or that special someone, a horse-drawn carriage ride takes you back in time and lets you see Niagara-on-the-Lake’s historic downtown in style. This attraction turns the status quo on its head. The Upside Down House has been a staple of Clifton Hill since its opening in 2012. The 1,200 square foot house is completely furnished in a gravity defying manner. When you enter, you’ll be standing on the ceiling and looking up at the floor. This spot is a great place to take photos that will confuse and amaze your friends. The key is to flip them before you show them, that way, the house looks normal but you’re standing on the ceiling. Located in the heart of Clifton Hill, this sweets emporium draws crowds of sugar-crazed kids. Owner Reg Wall has been making his family fudge recipe since 1967 and now produces 18 flavours of fudge as well as an array of brittles, chocolates and more. If you’re looking for a healthier alternative for your kids to enjoy, take a drive out to the rural winding roads of Lincoln. Here, you’ll find a number of fresh fruit stands lining the roads, and signs offering pick-your-own experiences for everything from peaches to apples to berries. Pick your own fruit tends to come in big batches, so you might want to consider breaking out the rolling pin and making pie with all of your fresh bounty. This November, Niagara will be hosting its first ever Cascades of Fire event. This fireworks competition brings pyrotechnic presentations from China, Finland, Brazil, Vietnam, Italy and Canada. Events take place at 9pm over 6 weekend nights starting November 9th. This event is free to attend and is expected to fill up quickly. Explore a vast array of world records from the tallest man to the most body piercings on one person. This museum features artifacts, trivia, interactive games and more. The museum offers up fun facts about some of the world’s record holders including the tallest man and the most tattooed woman. The Welland Canal is a great spot for kids. The sheer size of the ships that float along the famous canal is enough to get them revved up. Make sure you check the schedule ahead of time so you know when to expect the ship to pass by your lock. The canal is made up of 8 locks. 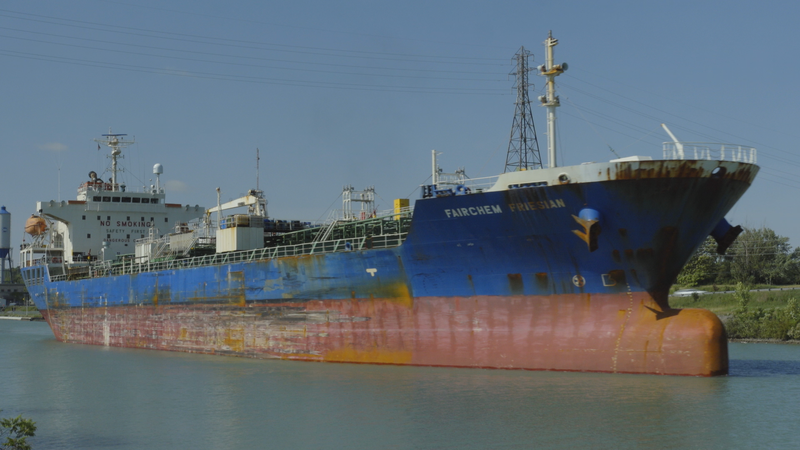 We recommend watching from lock 7 in Thorold, where the ships famously “climb the Niagara river”. With so much to do and see in the Niagara Region, it’s never a bad idea to add some pampering to your bucket list. The Spa at the Fallsview Casino Resort offers a calming escape from the hustle & bustle of downtown Niagara Falls. From therapuetic massages to facials to manicure treatments, you’ll find whatever sort of pick-me-up you’ll need. If you’re looking to relax with someone special in your life, the Spa offers great deals on couple’s packages as well. When the excitement of your Niagara Falls vacation gets too be too much, venture over to this out-of-context Buddhist temple to collect your thoughts and ease your mind. Visitors are free to wander the grounds and explore the various sculptures, chiming bells and gongs and interesting artwork that fill the temple. For those looking to learn, the complex is equipped with a 7 floor museum. For those looking for a bit more spirituality, there are several quiet places to meditate and reflect. When you’re looking for more privacy than a hotel can offer, cottage rentals are a great way to see Niagara on your own terms. Nestled on the shores of Lake Erie, Wainfleet is quickly becoming a cottage country hub. The quaint nature of Wainfleet makes it the perfect place to get away from the hustle and bustle of the largest cities while still remaining a short drive away from all of the best tourist attractions. 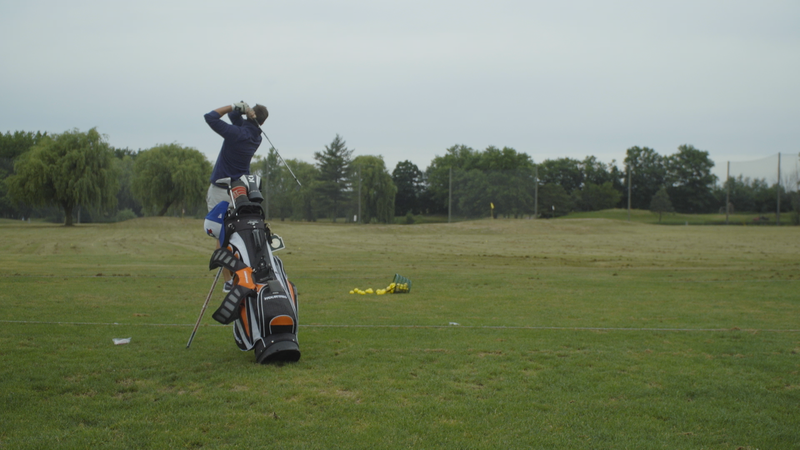 For some, unwinding means being surrounded by green with a club in hand. Whether you’re starting out or a certified pro, the Niagara region has dozens upon dozens of great golf courses to choose from. These include the oldest golf club in North America, the Niagara-on-the-Lake Golf Club, the scenic Whirlpool Golf Course and Peninsula Lakes Golf, and the challenging links-style courses such as Legends of the Niagara. This unique pampering destination should be at the top of the list for any spa-goer. Their primary treatment packages are based around halotherapy, a type of respiratory therapy that involves inhaling air that is infused with healing pink salt. The benefits range from anxiety reduction to better breathing. Additional treatments include floating tanks, saunas, facials and massages. Whether you’re more inclined to enjoy the stunning view or a fabulous meal, the Skylon Tower never disappoints. From 775 feet above the Falls, you can indulge in a unique fine-dining experience and 360-degree view of Niagara from the tower’s Revolving Dining Room. Alternatively, there’s a family-friendly buffet with equally as picturesque views of the Falls. After a delicious meal, head to the observation deck to take in the panorama and snap a selfie or two. Have you seen the Falls but want to get closer? Hornblower Niagara Falls is your chance. Climb aboard the 700 person catamaran and prepare to journey past the American Falls, Bridal Veil Falls and the Horseshoe Falls. You’ll experience the wild waters of the Niagara Gorge with all of your senses, from the rushing sounds of the Falls to the misty air hovering over you. We recommend putting fashion aside and opting for a rain poncho, as it gets pretty darn wet on this iconic Niagara attraction. If you’re looking to walk off those tea sandwiches, consider a stroll along the residential streets that surround NOTL’s downtown strip. Many of the homes date back to the mid 1800s (some even earlier) and have been immaculately restored. While any serious real-estate investor should be prepared to fork over a small fortune for these homes, there is an acute pleasure to be had simply window shopping. 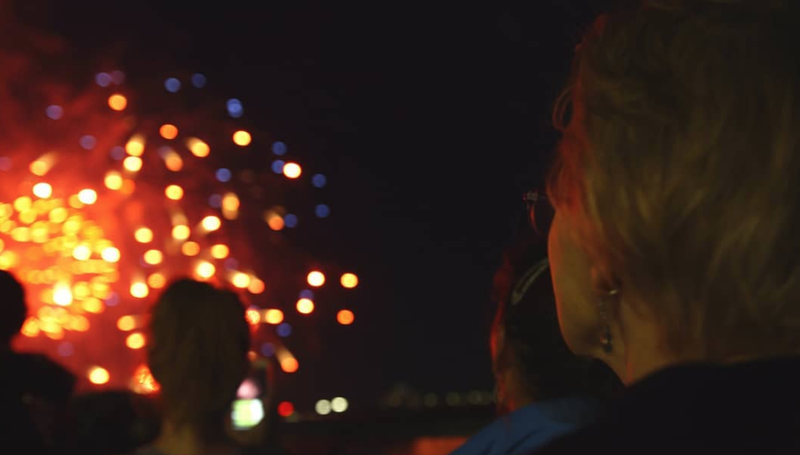 From Victoria Day weekend to Thanksgiving, Niagara Parks puts on a spectacular fireworks display every Friday, Saturday and Sunday night. These fireworks displays are no joke. Hundreds of explosives light up over the waters of the Niagara Gorge and create colour display both in the sky and across the water. Be sure to get there early, as spaces fill up fast. If you’re planning to put down a blanket on the grass, give yourself even more time; those spots are gone hours before the event. This attraction is the height of fun. The Niagara Skywheel offers a one-of-a-kind panoramic view of The Falls, the Niagara River and Clifton Hill. The 10-minute ferris wheel ride takes you 175 feet in the air and is the perfect place to snap an awesome picture to commemorate your holiday. The Skywheel is open year round, making it a must-visit in Niagara. If the views from the Skywheel weren’t quite spectacular enough for you, you’ve got to check out Niagara Helicopters. From takeoff at Victoria Avenue, the tour takes passengers over the Sir Adam Beck Generating Plant, along the Niagara River to the Whirlpool Rapids, the Rainbow Bridge, past the Skylon Tower and both the Canadian and American Falls. In other words, every larger than life attraction in one sky-high tour. While not quite a tourist attraction, the Niagara District Airport is a great spot to visit if you get the chance. 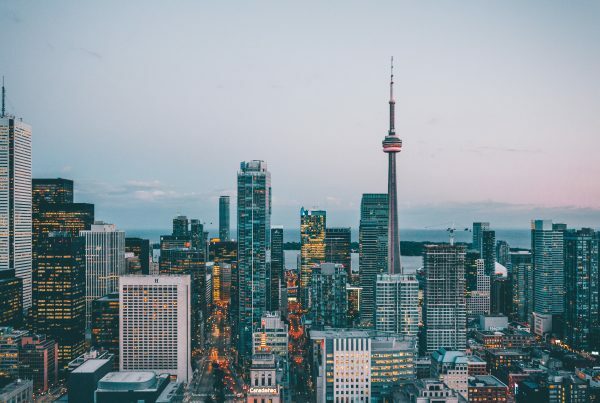 The FlyGTA Airline offers four daily flights to Toronto’s Billy Bishop Airport. If you’re in a hurry to get to the city, this is the way to go. In just 12 minutes, you’ll be transported via propeller plane into the heart of the city. For yet another perspective of the Falls, hop into A Whirlpool Aero Car. The Spanish-designed cable car glides along one kilometre of cable, passing above the Niagara Whirlpool and the Class 6 White Water Rapids of the Niagara River. While the cable car begins and ends in Canada, it actually crosses the US/Canada border multiple times throughout the duration of the ride. Explore a 130-year-old tunnel system through the bedrock of the Niagara Escarpment on your way to viewing portals that give you a unique perspective of the Falls from behind. You’ll definitely hear the Falls before you see them as you visit the Journey Behind the Falls. We strongly recommend a rain poncho for this wet but worth it attraction. So there you have it. If you aren’t excited about this list, you might need to check your pulse. 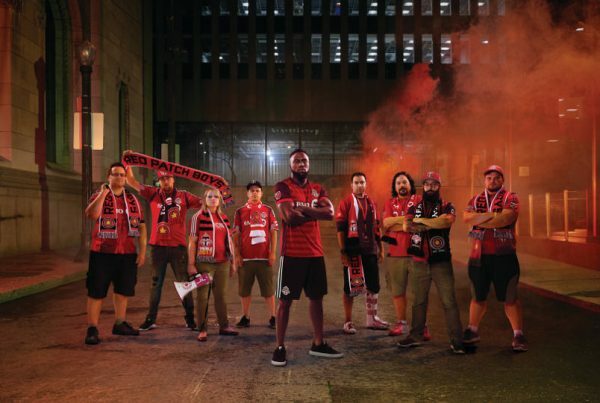 This is our definitive guide, but we certainly couldn’t list them all. Is there something we’ve missed? We want to hear from you. Comment and share your favourite Niagara experiences.